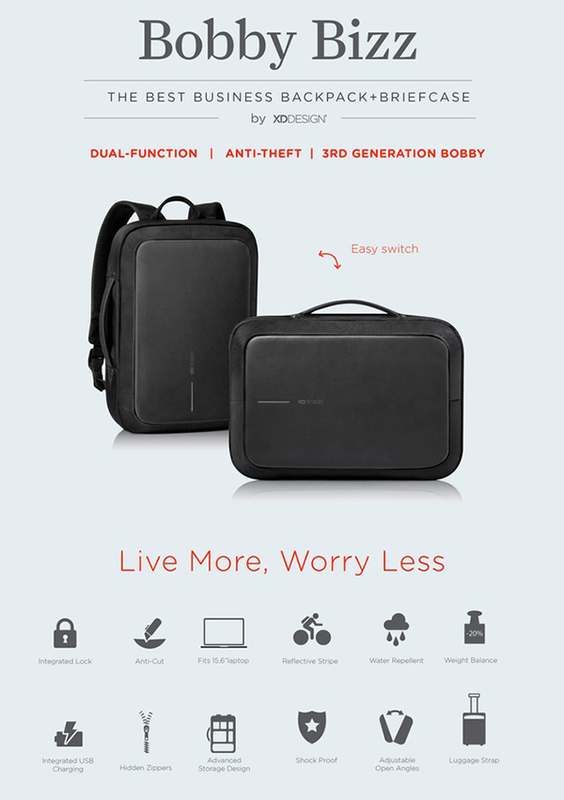 As always, the Bobby Backpack is focused on storage, comfort and safety. The newest Bobby Bizz does it all, in style! If you’re still looking for a backpack, but want to get something next level: the Bobby Bizz is a must-have. With it’s cut resistant abilities, it’s an amazing feature to show off to your friends. Not only that, but the backpack just looks very nice and can be used as a briefcase if you want to be a bit more professional. I actually use it to go to work and only got positive comments on the design! Don’t get me wrong: you won’t have a life saving vest on when someone is attacking you, but at least you’ll walk around with a cool looking backpack that protects your back (not your sides). You can find all info and prices on the Bizz here.